Chelsea DuHaime is responsible for assisting FlemingMartin with business development, marketing strategy, and executive search research. Partnering with managing directors, practice leaders, and associates, Chelsea works to identify a strong leadership fit for each of our unique clients. She enjoys developing long-lasting relationships that will help businesses and individuals thrive. Prior to joining the world of talent acquisition, Chelsea specialized in employee experience and talent retention in the technology industry. 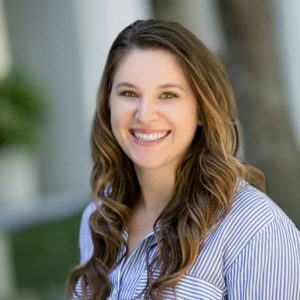 She graduated from the University of California, Berkeley and recently relocated from Southern California back to her roots in the San Francisco Bay Area to join the FlemingMartin team.